It contains a brilliant mix of masculine and feminine components. 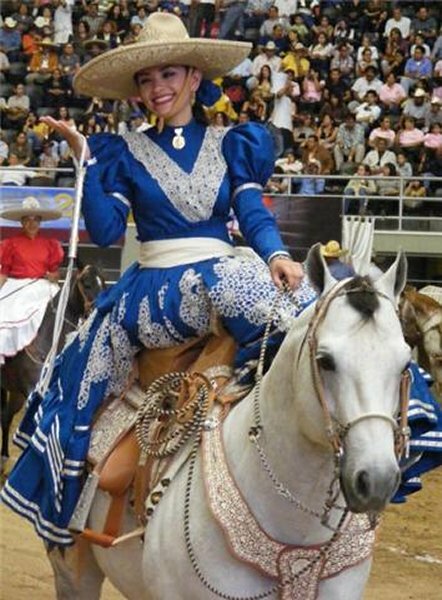 The inspiration came from the escaramuza or Mexican cowgirls. 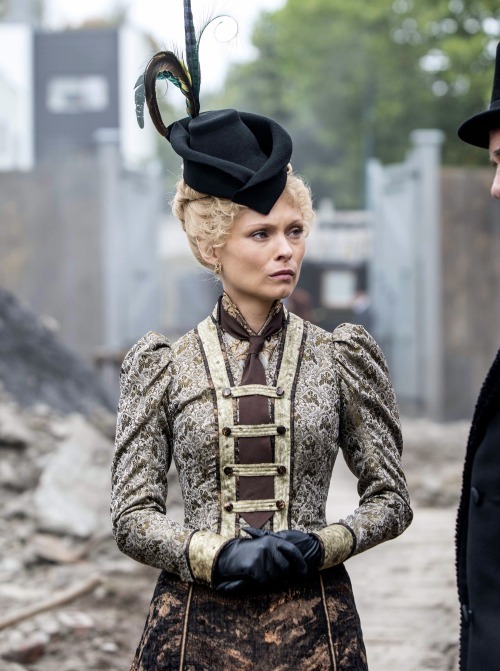 I’m often drawn to Victorian style which blends elements from both sexes seamlessly. John Galiano took inspiration from vintage equestrian style for Dior as seen in the photo below in 2010. I found this immaculately styled image below somewhere online and can no longer figure out where it came from. 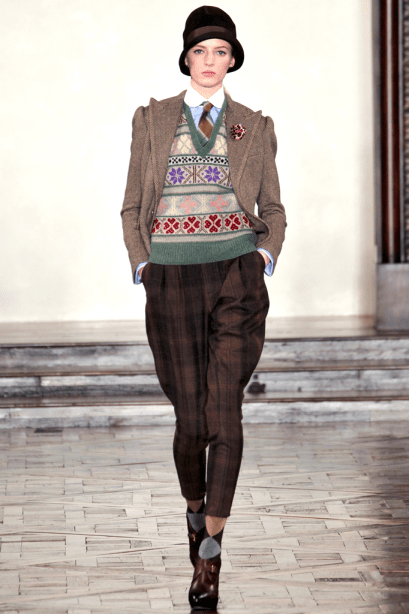 (Edit: Thanks to my wonderful readers it is from Ralph Lauren Fall 2012) It is one of my favourite examples of pattern and texture mixing layered up to perfection. I knew for ages that I wanted to pair this button up gingham dress with a tulle skirt and have it peek out. That is one of the joys of owing a front button dress vest, skirt or dress, you can open it up and add layers to show off what’s underneath. The added layer makes the outfit warmer for winter. 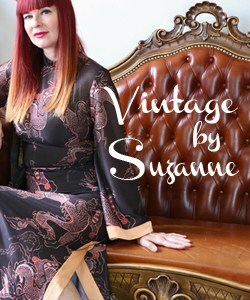 Remember this great 40’s vintage jacket? It’s a keeper. The tulle skirt is *almost* long enough to match the hem of the dress. Almost is good enough for me. Close only counts in horse shoes, hand grenades and tulle skirts. I’m pretty sure that’s how the expression goes. You can’t really see it very well but I have on a black tie to complete the masculine/feminine dichotomy. I’m very pleased with how this turned out. 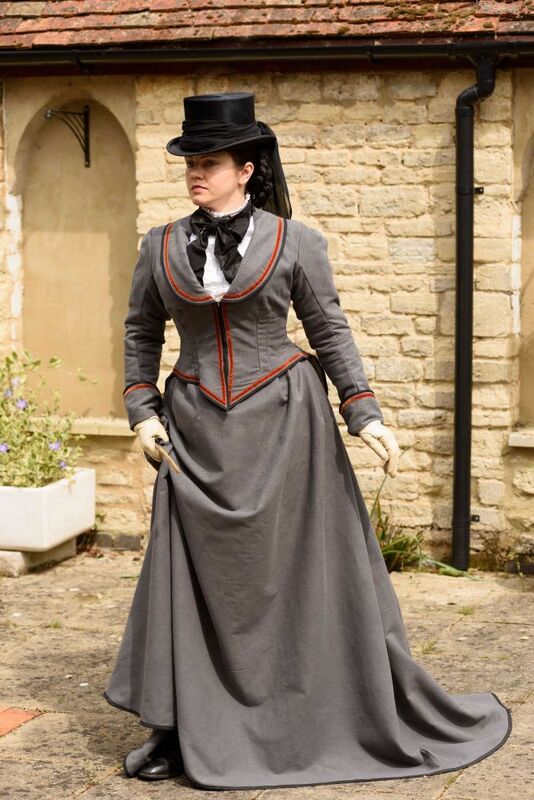 I have a floor length black velvet Victorian style fitted coat that would go over the whole ensemble beautifully. Shame I forgot to add it for the photos. Are you ever inspired by ads or certain eras of clothing? Recently a girlfriend of mine mentioned she was confused about how she could help curb environmental destruction by the fashion industry. She is another style blogger who adores clothing. 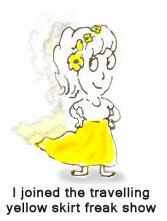 You may know her, Greetje of No Fear of Fashion. 1. Anything you buy secondhand will be better for the earth. New resources aren’t utilized to create it. Trying your best to shop secondhand first is the easiest way to have a clear conscience that you are making a personal effort to curb the destruction of the only home we have. The quality of pieces you can find secondhand will astound you. If you don’t have the time to shop secondhand yourself you can always shop consignment stores which will have a more curated selection. You can also shop secondhand online via Poshmark, Thred Up, Ebay and Etsy. Most of the pieces I find for my Etsy store are bought via thrift. Remaining oblivious to the reality isn’t a choice anymore. Knowledge is power. 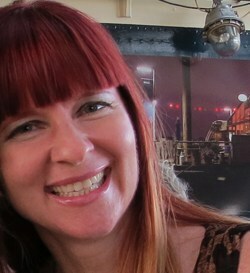 Taking responsibility for our choices and educating ourselves and others is the best course of action. We are on the Titanic now. One can look away from the iceberg, ignore it, keep eating our lovely meals, dancing away wearing our beautiful clothes but in the end we all know how that story ends. Ultimately consumption is the enemy. 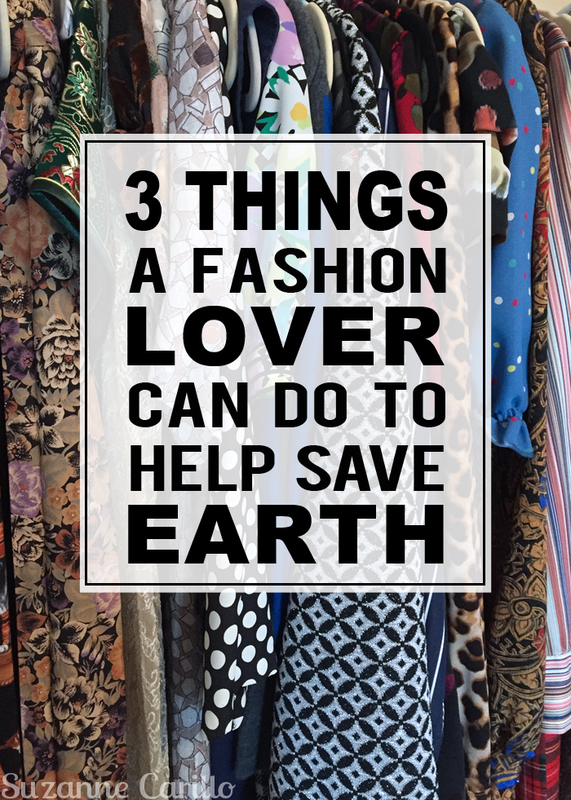 Taking small steps towards reducing your fashion consumption will not only benefit the earth but your pocketbook as well. Understanding what fuels our desire to consume will help you better control your spending habits. 95% of the time we don’t buy because we need something, we buy because of how it makes us feel. Buying is based on emotion. You are never buying what you think you are buying, you’re buying into a lifestyle, an ideal, a dream of what you want your life to be. We buy aspirationally. Can I buy this used instead? Is this better than what I already own? Am I anxious, unhappy, bored, sad and buying this to make myself feel better? How do I feel knowing that acres of land/water/resources were destroyed in order to make this piece? Will this have any meaning for me when I look back on my life? Ultimately you will need to decide for yourself if you want to be part of the solution or part of the problem.